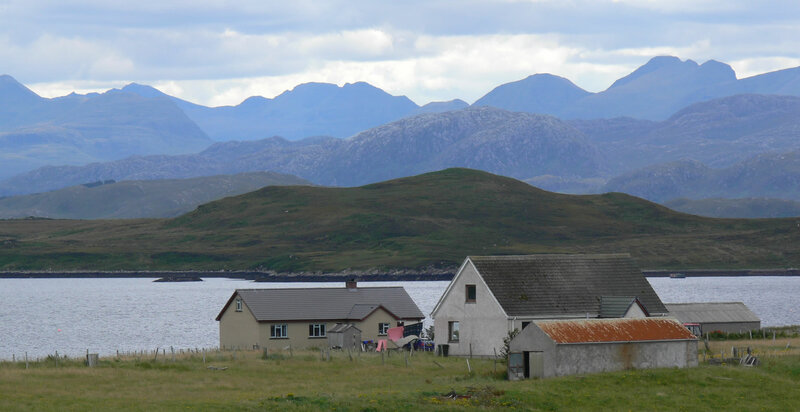 A croft in Scotland is a special form of legal property, usually with land that has to be farmed by any purchaser, who must also stay on the croft or within the area. The Crofters Commission, who manage own this land can help with future improvements through grants and for this reason many people find it a benefit of buying a croft. Often the houses (a croft) that are sold with the land are on de-crofted land, this means that the land the house is on is privately owned by the purchaser, while the land is “owned” by the Crofters Commission. The purchaser of the croft tenancy is able to sell the tenancy to another person and to benefit financially from any improvements to the lands value. The value or cost of the croft land is set by market rates and not controlled by the Crofters Commission. In some areas you may need permission from the Crofters Commission to complete the purchase of the tenancy. If this sounds complicated, it may be and sometimes can be so you are advised to consult a Scottish Solicitor who has experience in the purchase of crofting land and croft properties before you put in an offer. In many cases you will be happy with the arrangement, benefiting from grants for land and farming improvements, which can include agricultural buildings and housing, through the Crofters Commission. You do however have to manage and farm the land that is purchased and you must either stay on the croft or within 35 miles of it, and regularly working the land to be productive. This usually means keeping livestock such as sheep, cattle or another agricultural / horticultural enterprise. You may have a different objective in moving to the Scottish Highlands and Islands and find that non crofting land and properties will suit you better if you do not plan to live and work permanently on the land you purchase. There are plenty of such properties to be found throughout Scotland with normal Scottish legal land and property ownership and your Scottish estate agent or local solicitor will be able to help you locate properties that meet your needs. Disclaimer: this is not legal advice, always consult a solicitor before putting in an offer on a Scottish property or land purchase. If you are considering buying a tenancy for a croft then it is advisable that your solicitor has experience in this specifically Scottish legal land ownership purchase. HSPC - Highland Solicitors Property Centre, Inverness. On the Market is a useful site to search for properties across the UK including Scotland. Disclaimer: links to property websites are given as hopefully helpful suggestions, we do not endorse or recommend specific solicitors or estate agents.